On Wednesday, The Hollywood Reporter had an in-depth story on the WWE’s pending deal with Fox that is expected to see SmackDown move from the USA Network to a Friday night slot on the network in October 2019. 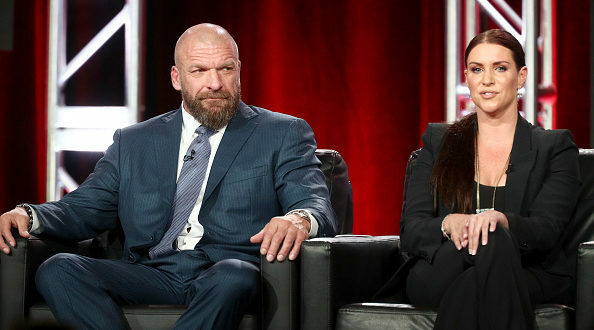 Marisa Guthrie reported on the story that contained a lot of behind-the-scenes that led to the WWE entering a handshake deal with Fox that is expected to be finalized imminently. THR reports that a renewal for both Raw and SmackDown was expected to be made by NBC Universal for $360 million per year for a ten-year period, this would later change when NBC Universal opted to retain Raw and place SmackDown on the open market. The $3.6 billion over ten-years would lock up WWE programming for the next decade and would be a risk if rights fee continue to escalate and the WWE were to be locked to such a long deal. Fox became aware of the show’s status and contacted the WWE, whose exclusive negotiating window for SmackDown expired May 16th. The power brokers on both sides of Fox and WWE met the following day in New York where a handshake deal was made. The meeting was large enough to include Fox founder Rupert Murdoch, alongside executives Eric Shanks and Larry Jones with Fox C.E.O. Lachlan Murdoch joining by phone. The WWE was represented by Paul Levesque, Stephanie McMahon, company co-presidents George Barrios & Michelle Wilson, CAA rep Nick Khan and Alan Gold of EMC. Fox made a big pitch for the show during the meeting with the promise of cross-promotional opportunities every night of the week, along with a weekly studio on FS 1, with Rupert Murdoch reportedly stating that NBC Universal was “embarrassed’ by their product, unlike Fox. THR added that NBC Universal’s new deal to retain Raw is expected to pay the WWE $265 million per year over five-years, in addition to SmackDown’s $205 million per year deal, bringing the domestic rights to $2.35 billion over five years for both.